I have one in the closet. My old 20" but I don't need it, so the desk is more clean. Only used it in bf for battle log site. Wow very clean mate. Like it!! This is my mouse. 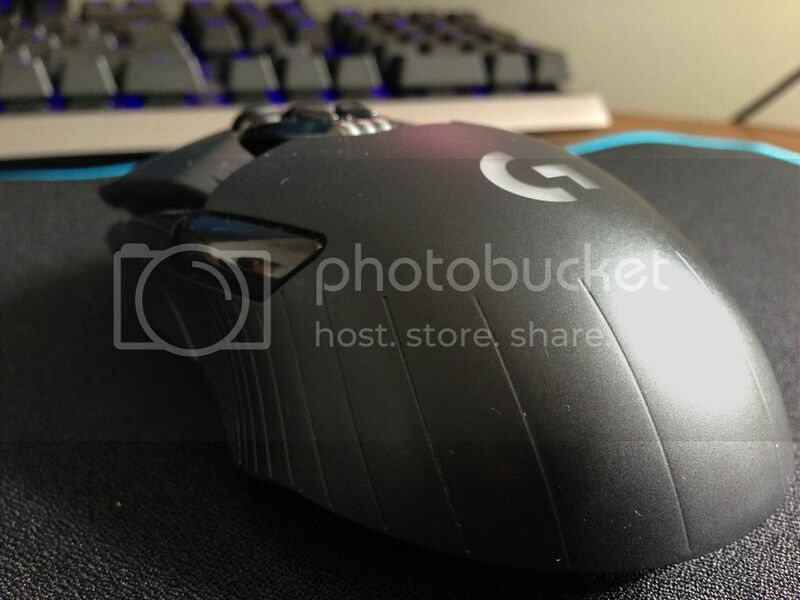 I use the Logitech G900 wireless mouse. I could not go back to a cable on my mouse now. Fantastic mouse with zero latency. Ok my sound card, (I know Brussie has his eye on this as well). Sennheiser GSX 1000. Without doubt the best sound card I've owned for surround sound emulation for stereo cans. 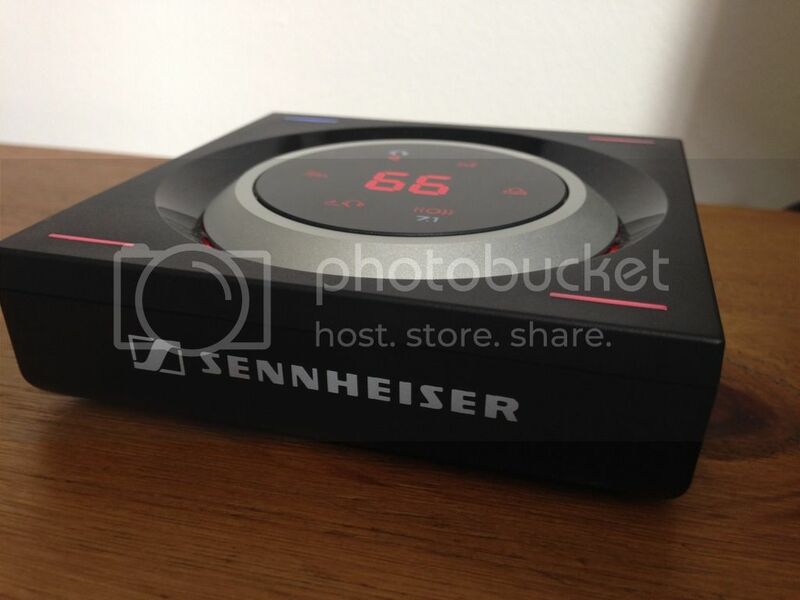 I've had the Sound Blaster ZX previous to this, and without doubt the Sennheiser produces much better positional audio. It's the reason I'm going to get the MMX300 as it's better suited to a open back headset, (apparently). You need to set it up right. No drivers to install, just a USB cable. Once it's recognised by your PC you'll see two audio sources for it, the main one and a headset one. The main one is for your game audio, so you need to set that as your default device. You then setup it up in Windows as having all 7.1 speakers full range. In game, (if a game supports it), ensure you set the audio options to surround as well. Then let the little black box do the rest. R6 is good, but BF1 is amazing!! The secondary output channel (headset), set as your default comms device. Then in TS / Discord set the output to the headset. This allows you to use the little wheel on the side of the black box to turn up or down the VOIP chat. Additionally you've split your audio, so if you do recording and use say Dxtory, your audio is already split so no need for something like VoiceMeeter, (I will probably get back to doing recordings once Dxtory and the codec I prefer to use is unblocked by Battleye). 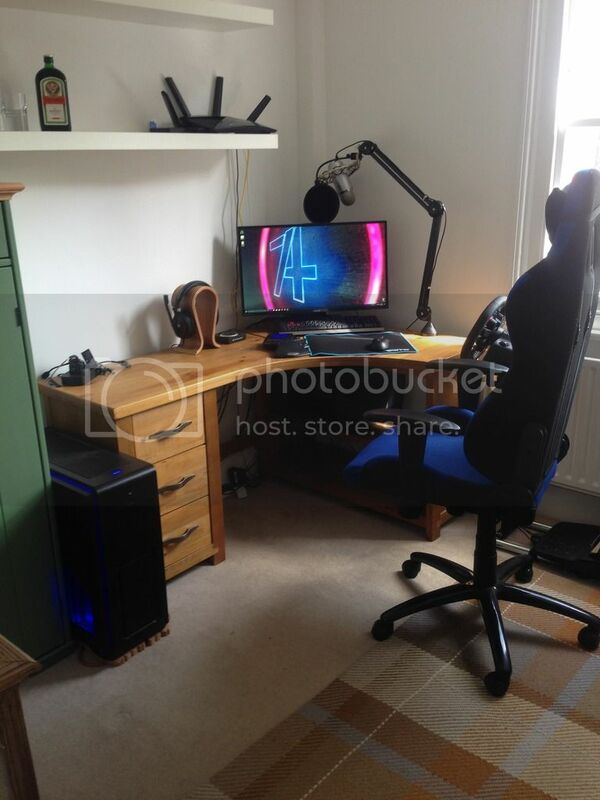 Final pic is my latest addition to my gaming setup. 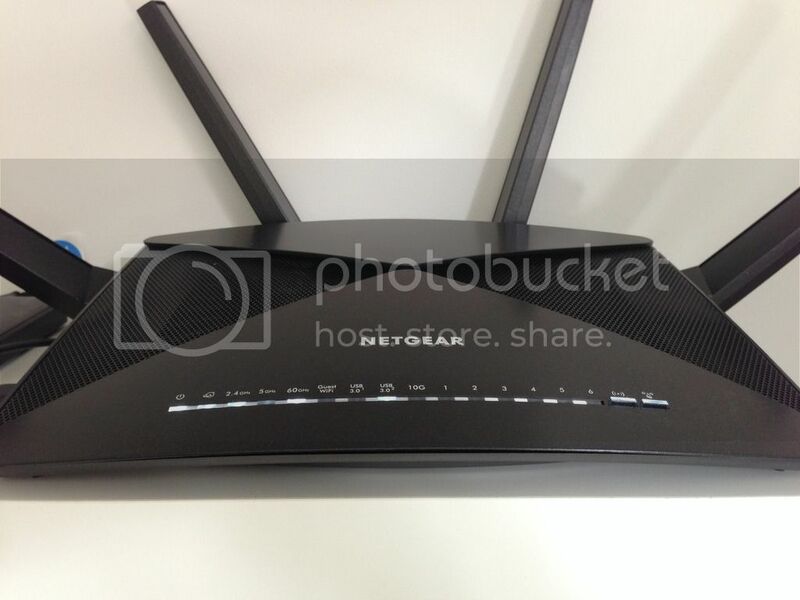 My new router, the Netgear X10 (or to give it it's full name the Netgear R9000-100EUS Nighthawk X10). I won't tell you how much it cost, just google it. Can't tell yet if it was worth the full investment until my ISP sorts out my internet fully. Asus ROG Swift PG279Q - Love the 2k resolution, G-SYNC is great for super smooth game play. However does mean I'm kinda tied to nVidia now. And finally the case. I've got the Phanteks Enthoo Luxe. If anyone is thinking of buying a new case, I highly recommend Phanteks. Build quality and attention to detail is superb. Very sweet! 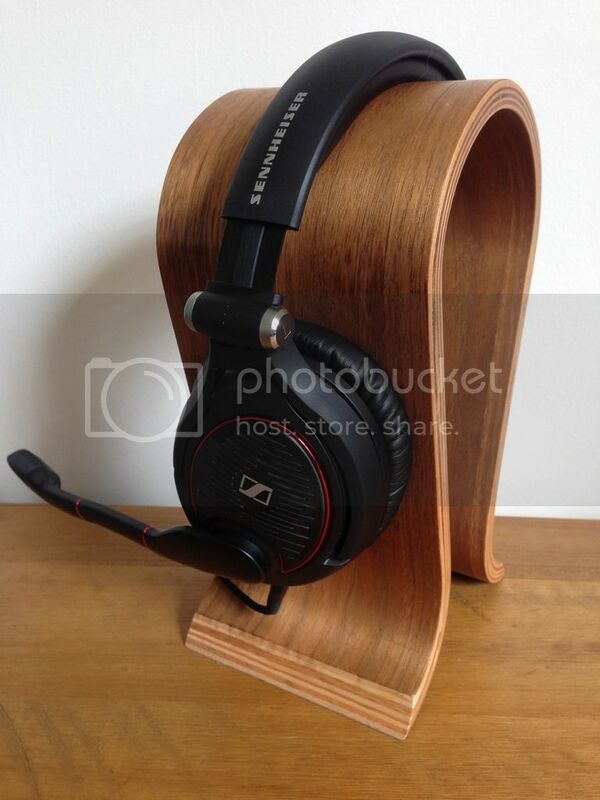 I love the headset stand!